I’ve heard about fried Oreos so many times that it got to the point where I just needed to bite the bullet and try one. I had no idea what was in store. There’s a restaurant we frequent called El Cactus and they happen to serve them. At the very least, I figured the Oreo would have some deep batter on it and inside, a crispy Oreo, but I was wrong. You do get the deep fried batter, but the Oreo inside is melted and gooey. They tasted like a s’more funnel cake and I actually wasn’t crazy about them. Lyssa however, fell in love. Even though I didn’t eat much of the fried Oreo, I still satisfied my sweet tooth and ordered my go-to [and quite possibly my all-time favorite] dessert at El Cactus — their tres leches cake. Now THAT is my idea of the perfect dessert. 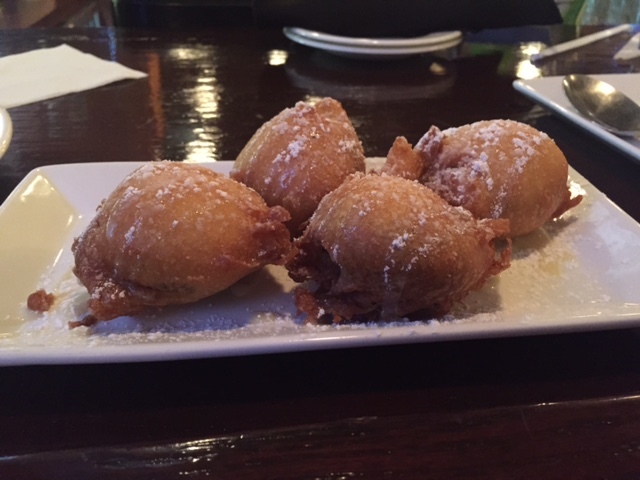 I know this blog is supposed to be about fried Oreos, but seriously, if you ever find yourself in Old Town Manassas, visit El Cactus. Order a tres leches cake and thank me later. I love Oreos just the way they are so much, that I’m not sure if I’d like them deep fried. But, it would definitely be worth a taste!